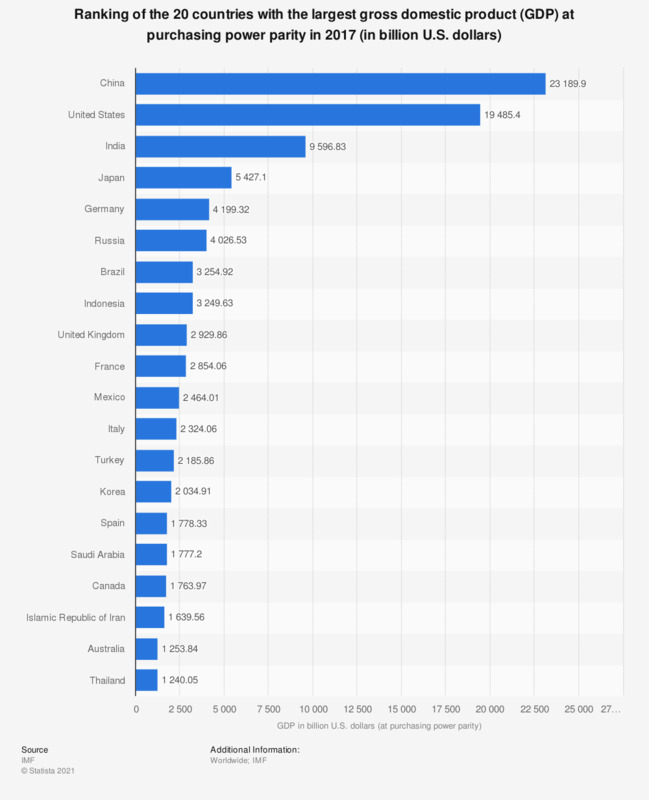 The statistic shows a ranking of the 20 countries with the largest gross domestic product (GDP) at purchasing power parity in 2017. In 2017, Thailand ranked 20th with a PPP-adjusted GDP of about 1,236.35 billion U.S. dollars. According to source, the figures are estimates.